Despite some advances in rich text support coming in iOS 6 my DTCoreText open source project continues to prove its usefulness. First and foremost it provides the ability to convert simple HTML text into attributed strings to give you the ability to retain full control over the display of the text. I love to receive mail telling me about where in real life DTCoreText finds good use. 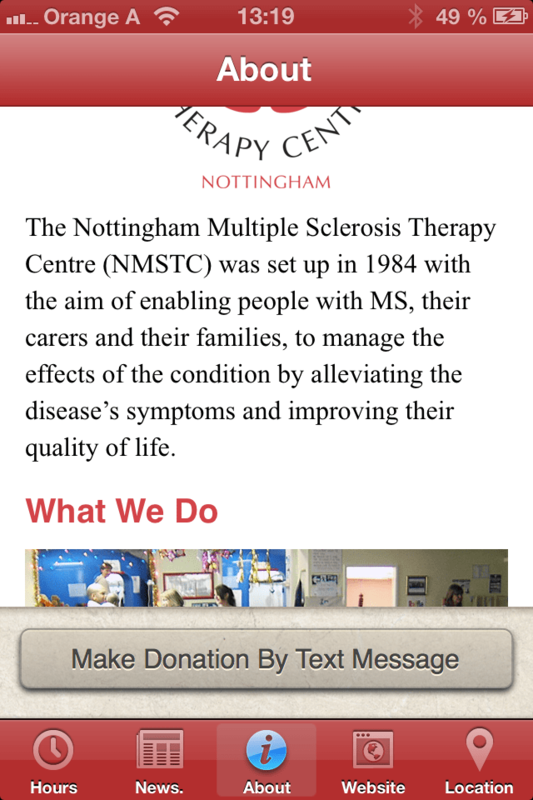 Especially so if it is used for good, like by the Nottingham Multiple Sclerosis Therapy Centre info app. A case study. Andy Warwick, Director of Creed New Media developed this app. It’s a ‘support’ app for a local charity that he’s involved with, the Nottingham Multiple Sclerosis Therapy Centre (NMSTC). This member-led charity specializes in Hyperbaric Oxygen Therapy (HBO), Physiotherapy, Reflexology, Hopi Ear Candles, Massage, Aromatherapy and advice on various topics. 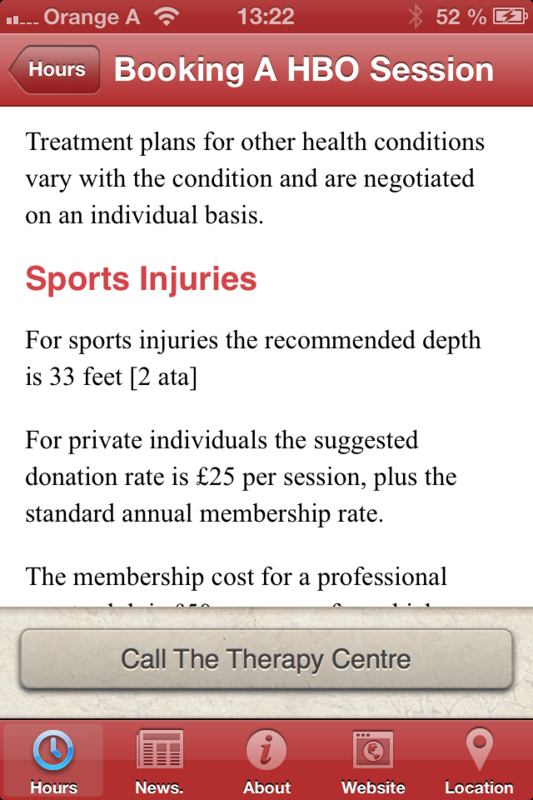 The NMSTC app uses DTCoreText extensively to display background and informational text in multiple sections. You can probably tell where it’s used: if not, it’s in the ‘Booking a HBO Session’ view, and the ‘About’ view. Andy had tried using local web pages, but he found this solution to be far more polished and elegant. It was useful for embedding images in the flow of text, styling text, and adding external links; all the stuff that you can do using local HTML pages. The key bonus for Andy, though, was the ability to display the content without having the jarring pre-load flash you get when using a UIWebView, even for local files. There are hacky ways around that, of course, but DTCoreText — once Andy understood it’s usage — gave a much better ‘finish’ to the app, while still retaining the ability to quickly and easily edit the content when client made text changes.